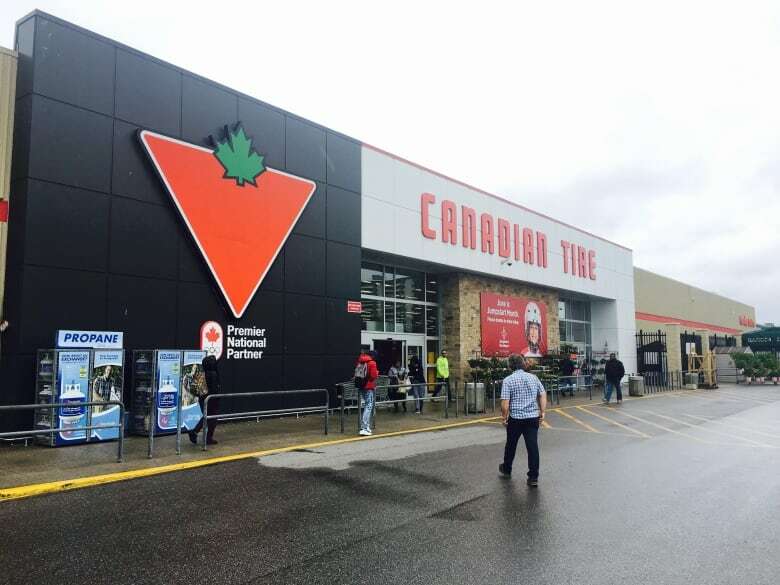 A woman accused of assault and threatening people with a knife in a Canadian Tire store in Scarborough, Ont., on the weekend pledged allegiance to an ISIS leader at her court appearance on Tuesday. A woman accused of assault and threatening people with a knife in a Canadian Tire store in Scarborough, Ont., on the weekend swore allegiance to an ISIS leader at her court appearance on Tuesday. "I am pledged to the leaders of the believers, Abu Bakr al-Baghdadi," Rehab Dughmosh, 32, said in reference to the leader of the Islamic State. Dughmosh made the statement without waiting for Justice of the Peace Alice Napier to begin proceedings in Toronto. Dughmosh has been charged with two counts of assault with a weapon, assault, uttering threats, carrying a concealed weapon, and two counts of possession of a weapon. An employee at the store, located in Cedarbrae Mall, was injured, but the injuries sustained were non-life-threatening, Toronto police said in a news release on Tuesday. Police said they received a call from the store at 5:10 p.m. on Saturday. When officers arrived, they were told a woman had threatened store employees and a customer in the paint section with a golf club and a knife. Police said employees and customers were able to restrain the woman, while another store employee was able to get the knife away from from her. ​The RCMP's national security team and Toronto police are jointly investigating. RCMP Cpl. Louise Savard said on Tuesday the investigation involves the RCMP's Greater Toronto Area integrated national security enforcement team. "There is no outstanding risk to public safety," Savard said in an interview. At her appearance today in a College Park courtroom, Dughmosh wore a black niqab, a prison green sweatshirt and pants, and running shoes. She addressed the court through an Arabic-language translator, and declined her right to a bail hearing. Napier explained it was the responsibility of the Crown to prove that an accused should remain detained, but Dughmosh decided to stay in jail by her choice. She is due back in court on June 21 and requested to appear via video link. Anyone with information is asked to contact police at 416-808-4300, Crime Stoppers anonymously at 416-222-TIPS (8477), online at www.222tips.com, or text TOR and your message to CRIMES (274637).